Behind the Headlines "Guide to the science that makes the news"
FREE resources for journalists reporting on clinical trials or trying to get to grips with issues in reporting new medical treatments. 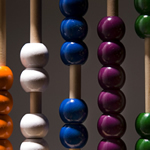 Many resources available in 23 EU languages: most available in 6 or more languages. Delegates at First Do No Harm, an international conference in health journalism and PR held in Coventry last week, left with a determination to work towards better standards, training and networks for this vital specialist area – and a promise from the organisers. 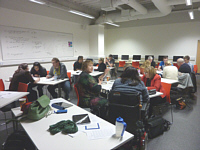 As speakers from 4 continents charted the state of health journalism across the globe, looking at subjects as diverse as cancer reporting and PR ethics for health organisations, there was a discernible air of determination to take things forward. This reached one of the conference's aims with one stroke: to serve as the foundation for a wider campaign to protect, promote and develop health reporting and PR. 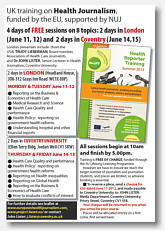 "We absolutely did not want this to be yet another academic conference, with prestigious academics emerging from their studies to tell other academics how important this all is – and being ignored by journalists", said Dr John Lister, one of the conference organisers and himself a world authority on the politics of health policy. 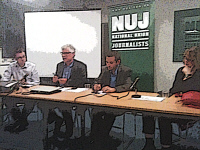 "We were determined to make this work for working journalists and PRs as well as stand on its academic research, which was in itself impressive, so we deliberately invited working journalists and PRs to speak and hear about the realities of what is threatening this area of journalism. "This situation is genuinely alarming: we could be looking at a perfect storm for health journalism and healthcare, with pressures on journalists to cut corners and 'cover' health with little or no training, pressures on hospitals to cut services year on year, and pressures on health PRs to spin the truth and hide any embarrassment." "PR in the NHS stands at a crossroads: will its political masters give it the means to be 'open' and 'transparent', or will the current culture of blame and obfuscation continue? "It's the PR who has to live with that legacy – and forthcoming changes in the law could mean it's their neck on the line if the organisation misleads the public. There has never been a more important time to air this debate, and conferences like this which set out with a determination to yield ongoing practical solutions for the professionals are a very good start." Alan was so convinced of the need to keep things moving that he promised all the delegates at the close of the conference that he would ensure all the speeches and debates were available within a month: "Yep, that was brave of me! 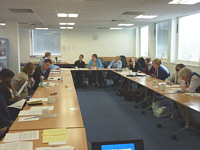 But if we don't put in the effort to make this work as the dedicated people who came to conference want it to, who will? The greatest ally of the growing threat to health journalism – and health services – is the easy complacency of conscientious silence. Good intent is not enough. We need more." 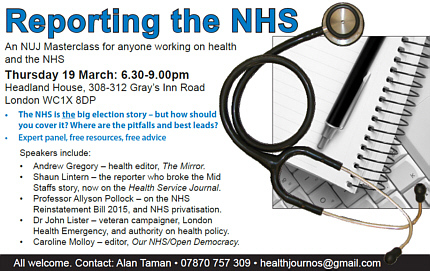 We are opening up an online blog for those wanting to join our new network and help support journalists trying to improve their coverage of health in the next few days: this will be publicised and promoted via @Healthjournos Twitter and e-mail, and we would be delighted if you can pass on the link to colleagues who may be interested. 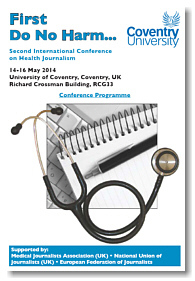 See this Powerpoint presentation: Why Health Journalism Matters - the opening presentation at the conference by John Lister, Coventry University. 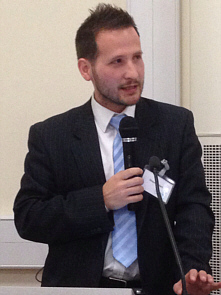 Reporting Statistics for Health Journalists – Dr David Schley (Royal Statistical Society). 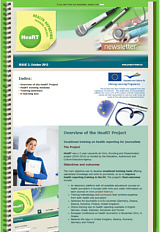 The success of the project (key to the prospects of securing more funding to take the project further and developing more workshops on mental health, care of the elderly and other issues) depends upon registering 'hits' on the official HeaRT website at http://www.project-heart.eu – and in particular its e-learning tools. These are free to use for anyone who simply logs in and secures a password. Please log in to the site, and fill in the brief questionnaire. Pass on the details to colleagues. 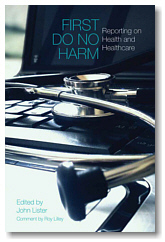 The presentations and discussions from First Do No Harm, a major international conference on health journalism and PR, held in Coventry University May 14-16 2014 are now available to download and use. They are organised into several main themes. Summaries and the main documents are available. 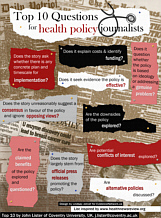 We welcome your feedback and comments on the issues raised, or on other ongoing issues of interest to health journalists and journalists coming to health reporting for the first time. Please log in or register – free of charge – to access our interactive blog and other resources on this website.